With that out of the way - let's talk history. Around roughly 500BC, Sun Tzu creates The Art of War. A book that would become a bible to many business and military leaders around the world. If you haven't read it I highly recommend it as it's one of the most essential and early books on strategy to exist today. Essentially - Sun Tzu's Art of War is a playbook on defining culture, identifying plans and actually executing on them. Nearly 2,000 years go by and you get many more philosopher / military strategists like Carl Von Clausewitz, who's writings can usually be found next to a copy of the Art of War. But there's one man who has defined true strategy today that is used (whether they know it or not) by business leaders, management consultants, creative directors and anybody in a position of strategic thinking. This is John Boyd. A true badass. 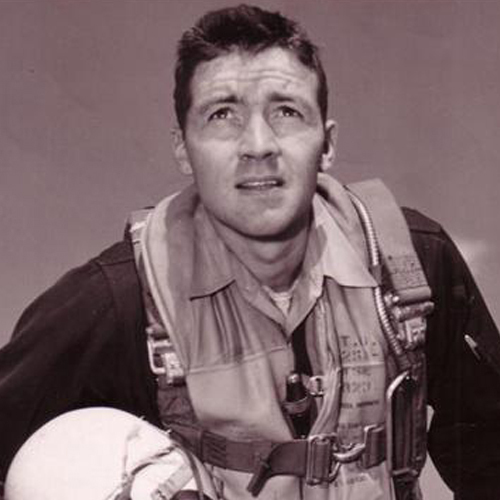 John flew as a wingman in the Korean War, and eventually joined the Pentagon to act in a far more strategic capacity, taking what he learned in flight, applying 'science' and eventually creating the most useful mental model in strategic thinking today - the OODA Loop. This magnificent work of art may seem like something only an engineer could love - but when broken down to its base components, it's quite simple. If you're a pilot, dealing with a barrage of information like enemy fire, navigation systems, weapons systems and a plethora of other feedback, you'd better have a mental model that helps you process all of that information. These four simple steps were what John created to help future pilots deal with the cognitive overload, and it's this kind of thinking that has saved lives and businesses today. What is happening around you in this particular moment in time. What is being asked of you, what are the immediate challenges you face? If you work in Marketing or Communications - you can go ahead and think of this as the information that comes through in a brief from a client. Now coupled with what you've Observed, what do you know of your surroundings? This includes internal and external forces at play like cultural norms, microtrends, macrotrends, analytics and anything else on your "radar". You likely have several options to choose from to solve your problem that you've faced in the Observe stage. You must use a combination of data and gut instinct to determine what will work best. There isn't always a way to know for sure, but the next step may help to test your theories. Put that plan in place. What does this solution you've decided on actually look like? How long will it take to implement and at what cost? If you think about how pilots need to be always on, this mental model works pretty well. Which is why this model has weaved its way into many modern planning paradigms such as SFA (Scan, Focus, Act), which is used by many management consulting firms today. So in a nutshell - if you're looking to become a strategist, or trying to figure out what strategy is, keep this model in mind. It serves as a strong foundation for modern strategic thinking, and also reminds us that if we're feeling overwhelmed with information, we may need to reorient ourselves.